PRODUCT ACCIDENTAL PROTECTION LIGHT LED : บริษัท โอเค ออโต้พาร์ท จำกัด | OK AUTOPARTS CO., LTD.
Voltage : 12V., 24V., 48V. Light Souses : LED 1,120 Pcs. (up to spec). Lens Colour : Red, Amber, Clear, Etc. Suitable For : Pick Up, Construction Site, Accidental Protection, Etc. 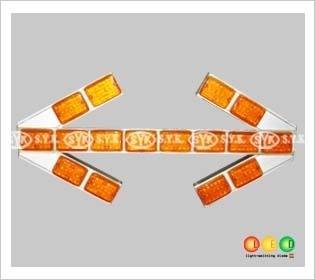 Used For : Emergency Light, Signal Light, Construction Site, Accidental Protection, Emergency Vehicle, Etc.